How are you bringing value to the table? How do you make yourself stand out from the pack? 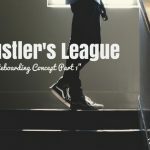 This week, we pulled out yet another snippet from one of our previous sessions over at the TSE Hustler’s League where we talked about building value, specifically about giving great presentations. There are basically two problems that I’ve seen with many salespeople giving presentations. First, they only give what they want to give. Second, they give presentations at the wrong time. And when you do these things, you don’t actually get what you want to get. So what do you have to do? 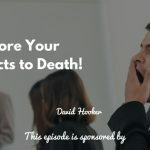 After grabbing a prospect’s attention and you’ve set a discovery meeting, this is clearly an opportunity for you to dig in deeper and discover more about the client. So you have to come prepared with some questions which are questions your prospects will be happy you asked them. Ask them questions that help build value, that help them to think, and help them to realize they need it, and ultimately, help them want to buy from you rather than you trying to sell them. One of the biggest mistakes of people giving presentations is failure to have this discovery meeting. And once they’ve presented, the clients would just tell them they’d keep in touch. So please… never skip this part of the process. Take notes! Sometimes, people want to really want to see what you have and get an understanding. This is where a 5-minute demonstration would come in handy. For example, have a video on your website or a video you can send them. The key thing to remember is to not waste your time with people who are not qualified. If they don’t have a problem you can solve or they don’t have the money, you’re going to be wasting your time with that meeting. So give them an alternative by creating a simple video on your website to give them the opportunity to see what you can offer. Give them value. There are several things to keep in mind when giving presentations. Again, be sure to take notes after each discovery meeting which you can utilize for the next meeting. This is the key to customizing your presentation. Using these pieces of information, utilize their words and their verbiage and put that in your presentation. Start off your presentations by complimenting them in a genuine way. Find out things about them on their website or look up their social media accounts or do a quick Google search about their company. Look for anything you can compliment them on. This shows them that you did your research and this makes them feel good about themselves. As human beings, we want to feel important and cared for. Anyone who tried to help you get into an organization is your champion and be sure to compliment them to make them feel good as well. Share something which they did and that would make them feel good being given compliments in front of their peers. Never forget to review the agenda of what you’re going over. The goal is to get people from Point A to Point B. Do not over-complicate presentations and talk all about yourself. It’s not about you. It’s about them. Focus your presentations on your prospects. 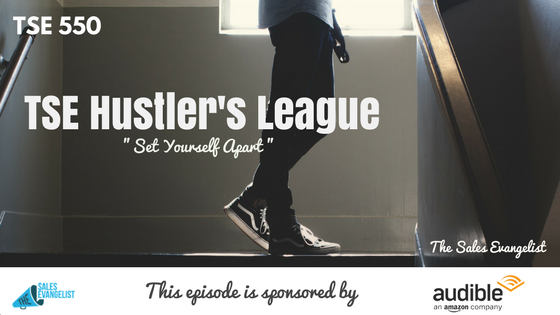 Interested in becoming a member of the TSE Hustler’s League? Please register, drop us a message, chat with one of our members, and see if it’s a good fit for you.